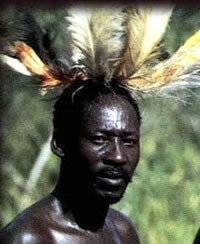 The Acholi, also spelled Acholi and called Gang or Shuli, are a Luo Nilotic people from South Sudan. They speak a Western Nilotic language of the Eastern Sudanic branch of the Nilo-Saharan family and are culturally and historically related to their neighbors, the Lango. The Acholi are Protestant, Catholic and, in lesser numbers, Muslim. Nevertheless, the traditional belief in guardian and ancestor spirits remains strong, though it is often described in Christian or Islamic terms. The Acholi believe in a supreme being called Jok and in another god, Lubanga, who is the cause of evil. The Acholi also worship the spirits of the dead and believe that they help the surviving members of the family if they are treated well. Dance is very much a part of the Acholi culture. To learn more, visit the Portland Obbo Community facebook page. Pray that Acholi will hear and accept a clear and contextualized form of the gospel. Pray that God will work in the hearts and minds of Acholi to discover the truth of allowing Christ to influence the affairs of their daily life.